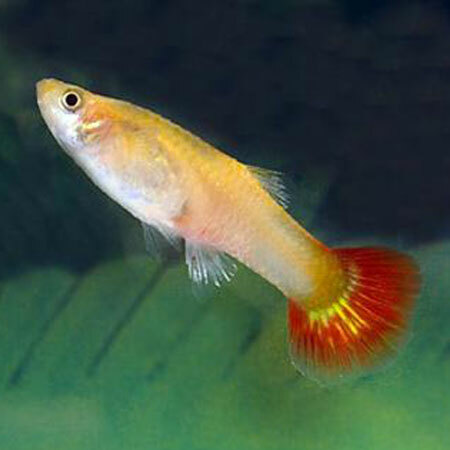 Koi are the main attraction in any garden pond and bred in a dazzling selection of colours. Originally bred in Japan, Koi are now farmed all around the world. 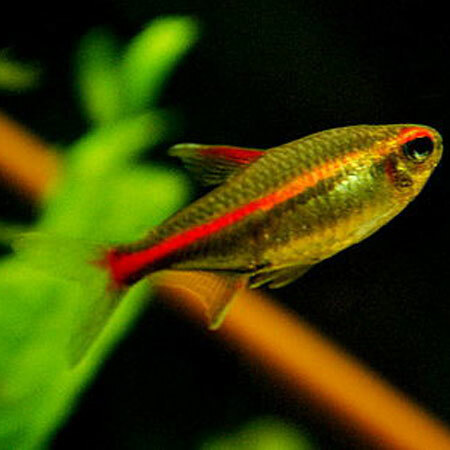 In our extensive selection you will find all varieties from Kohaku to Hariwake and all in between. To read a little more on Koi Varieties please click here to read our guide. Our Koi Carp are quarantined in our purpose built quarantine and conditioning ponds so you can be certain of receiving healthy fish. We have also extended our health guarantee to 10 days on all pond fish. All the larger fish are individually photographed. Choose your fish from the photos, buy your koi carp online and have it delivered to your door. 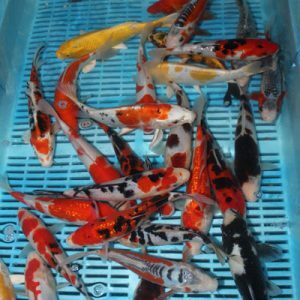 Why Buy Koi Online from us? 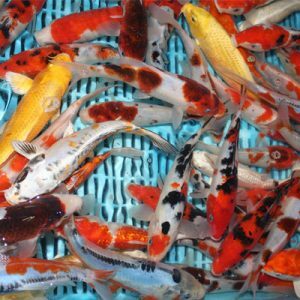 Koi and Pond fish from countries across the globe are in stock and ready to be sent directly to you. We are able to offer more sizes and varieties on Koi Carp due to our large facilities than any other supplier. 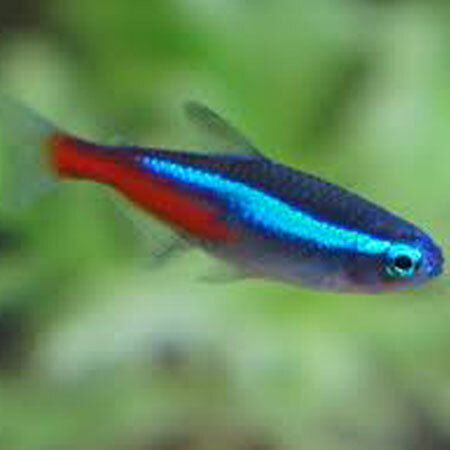 Our fish are kept in outdoor temperatures meaning we can ship year round. On arrival, our Koi are kept in a large purpose built quarantine facility. We also offer a 10-day health guarantee on of our Koi, meaning you can buy with complete confidence. Buy Koi Carp Online and delivered to your door!